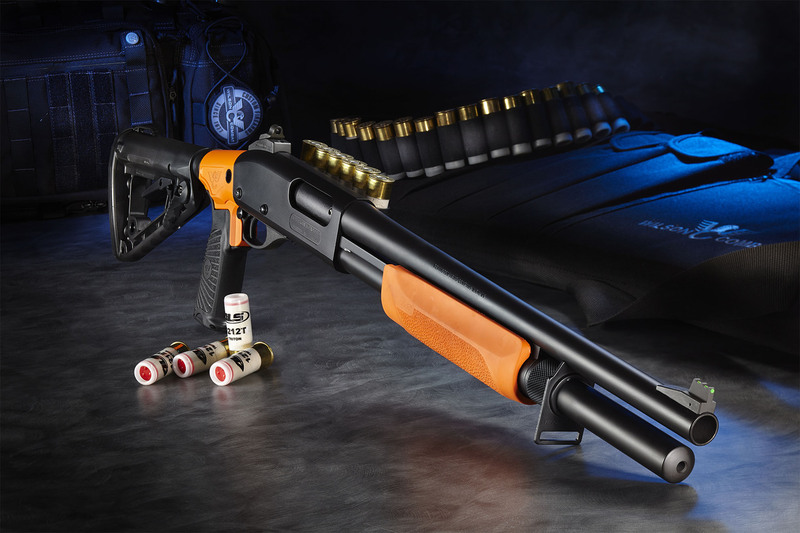 These firearms come in both 14" and 18" varieties, either in standard, or CQB versions. 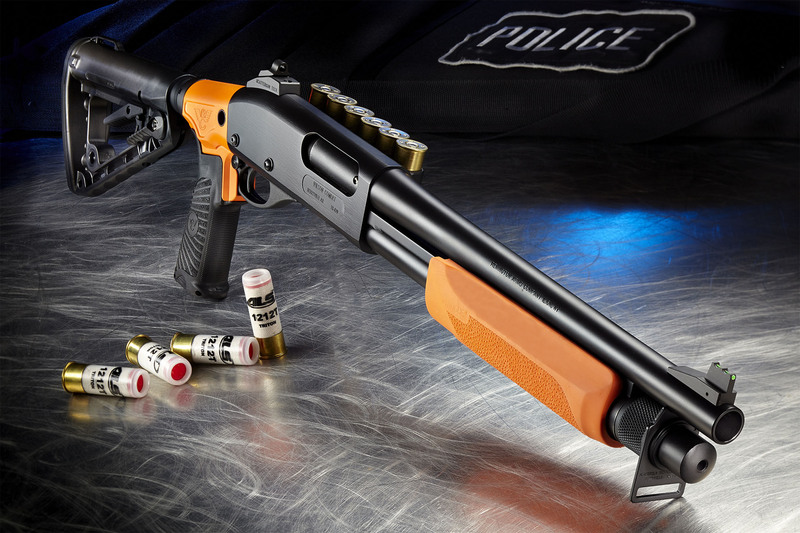 Built by our gunsmiths to the same rigorous standards as our custom Scatterguns, these “Less Lethal” Wilson Combat shotgun models will serve a unique role in a well stocked law enforcement armory. Seasoned Law Enforcement and military professionals understand that courts and review boards recognize the initial deployment of less lethal rounds as key evidence of intent to prevent lethal injury. 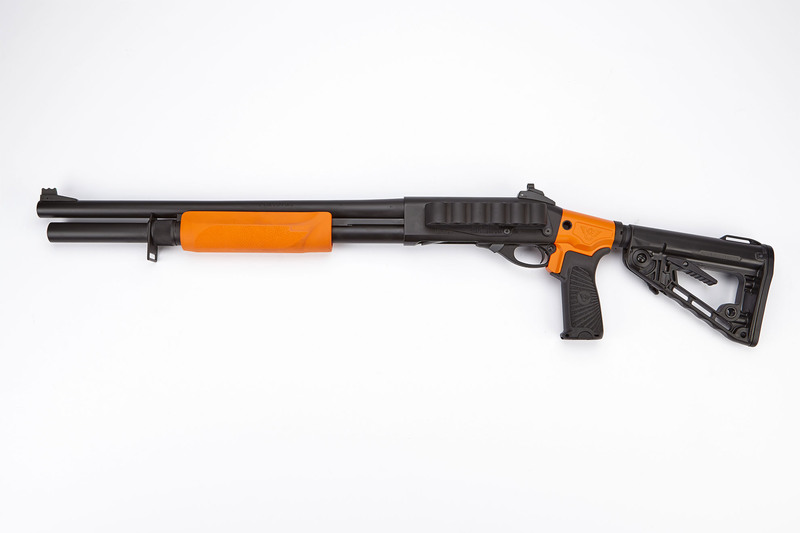 This “Less Lethal” Wilson Combat shotgun is designed to be easily identified as a less lethal option for use in a crowd control or riot situation. 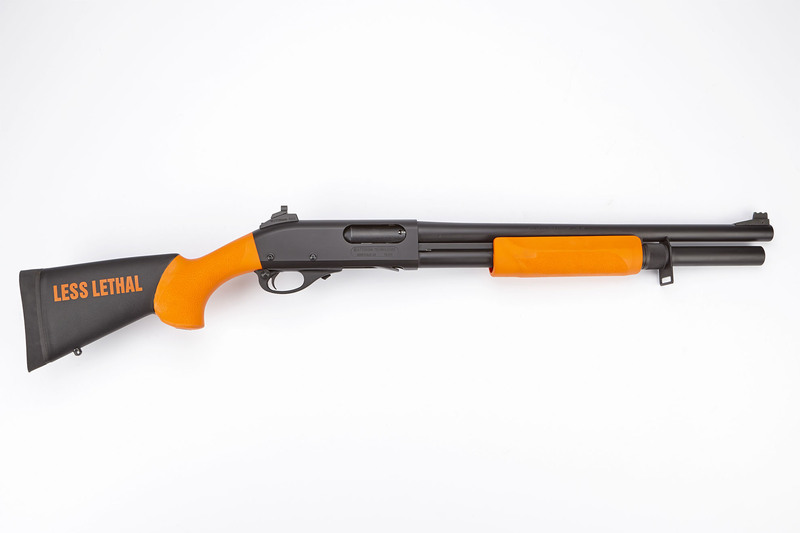 Special Hogue blaze orange stocks are used to quickly designate the “Less lethal” loaded firearm in your armory. *A “Less Lethal” designated firearm will still fire standard ammunition, but for “Less Lethal” use appropriate rubber buckshot or beanbag rounds should be deployed. CQB 18" Version pictured on the left, Standard 18" Version pictured on the right. Prices and Specifications Subject to Change without Notice, Firearms will be Invoiced at Prevailing Prices at Time of Delivery.